Yacht Charter Croatia - Adriaticum Sail is a modern, reliable and professional agency that deals with boat rental a long time, and since the beginning of the year 2011, has opened a new central booking office in Germany. To all lovers of sun, sea and sailing we would like to say that are on the right place as far as goes about renting boats of different models and types. We have a well organized business relationship with our charter partners which are prestigious companies with well run bases and marinas and also a excellent maintained chartering yachts on a high level. With an extensive orientation on the Croatian market, we extended our job and we offer a choice of boats to rent on some other tourist destinations such as: Greece, Turkey, Italy, Spain, Cuba, Seychelles, Carribeann, Malaisia and Thailand. We can assist you in searching for your perfect vessel of smaller to larger family sailing boats, hire motor yachts, catamaran hiring, gulets - motor sailers, to the exclusive luxury yacht complete with the entire crew, for our VIP clients. Most important to us is that everyone is satisfied with the offered service and that at any moment you feel secure. Our goal is to provide to all our guests an excellent service to meet their needs in a fair and open manner. 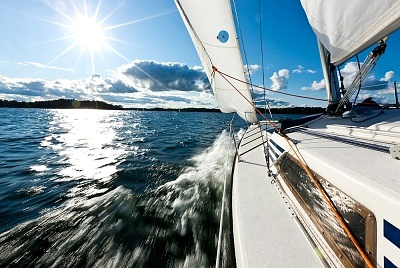 About the success of our boat charter business can testify the guests who return to us and use our yachting service. What our clients tells about us you can find in the Guest book. Croatia is small land for a big holiday. Welcome!